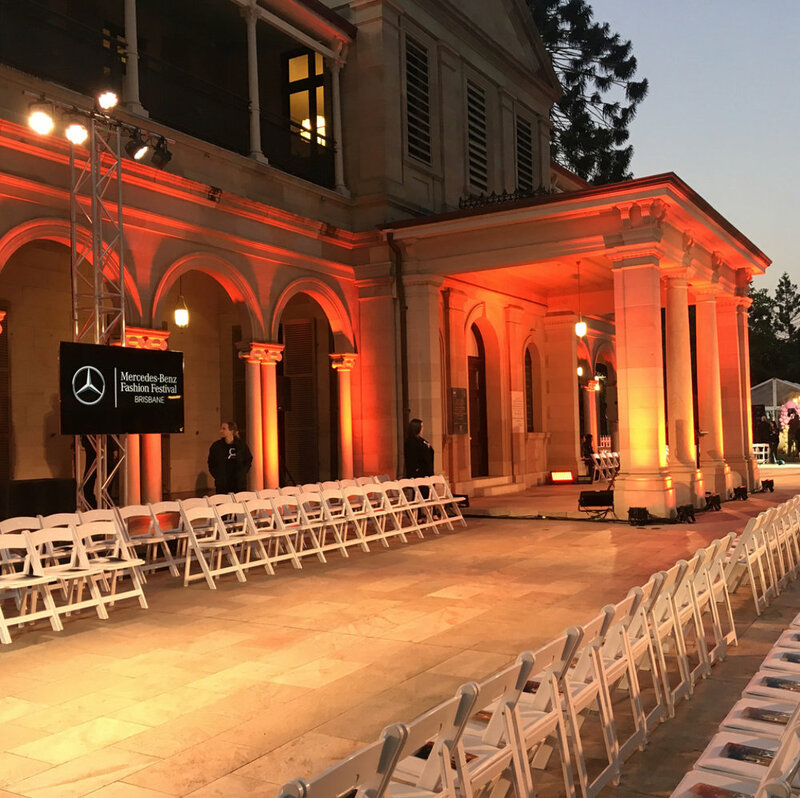 Over the years I’ve attended Mercedes Benz Fashion Festivals (MBFF) from the sidelines but this year I decided to apply for a Back of House (BOH) position. My main reason being, I wanted to find out what it's really like behind the scenes of Brisbane’s most prestigious fashion event. It was also a great opportunity to get up close with the glam couture, network with designers, industry leaders and just to do something different! So what did I do BOH? What didn’t I do ! I assisted with organising runway stock across multiple venues, sorted runway outfits onto racks, taped shoes, dressed models for the shows, rushed to David Jones to pick up some Louis Vuitton as you do and to Coles to pick up garbage bags as you do. What were my highlights ? Working BOH at MBFF Tattersalls Club high tea event and being able to view the stunning Paspaley pearls and Bvlgari jewellery range. Dressing models. I dressed three models over the event who are all stunning hard working girls. I can certainly testify that models DO work hard! Harder than anyone could ever imagine. A lot of effort and energy goes into making the models and a runway show look glamorous and effortless. I didn’t realise how much they have to put up with like people pulling and poking them from all angles, having to be dressed and undressed by total strangers from head to toe. They also have to perform super fast complex outfit changes in less than 1-2 minutes and then walk out and model (sometimes challenging outfits) in front of scrutinising crowds. I won't sugar coat it, it can be frantic at times but that's also part of the thrill. developing a special friendship and of course attending the after party. Hell yes! The truth is the adrenaline and atmosphere is a little bit addictive. The BOH crew were fantastic and really appreciated the work the 200 + volunteers provided throughout the festival. I got what I was hoping for and more. Knowing that I helped (in my own little way) to assist the crew/s to deliver on an incredible event that puts a smile on people faces and supports local fashion designers platform their beautiful creations is very satisfying. I certainly have a greater appreciation for the industry as a whole and can vouch that not all fashion scenes are like Devil Wears Prada.